Prior to a 2005 merger with BUPA, International Health Insurance Danmark or IHI Danmark as it was also known specialized in providing Danish nationals with comprehensive international medical insurance. Following BUPA’s acquisition of IHI Danmark, the company was rebranded as IHI-BUPA and it began to widen its customer base by offering medical insurance policies to individuals and groups around the world. Today, IHI-BUPA is widely recognized within the global health insurance industry as one of the leading providers of flexible and comprehensive international health insurance solutions. Its products and policies are forward thinking and have been designed with modern healthcare requirements in mind. Their attentive customer support teams can be contacted 24 hours a day, 365 days a year and IHI-BUPA’s policyholders enjoy high quality protection and support. 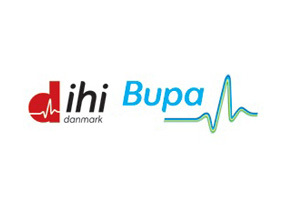 IHI-BUPA’s head office is located in Denmark and it has a number of offices throughout Europe. Outside of Europe, local support is provided by the many BUPA offices that can be found throughout the world. In Thailand, BUPA’s head office can be found in Bangkok while it also has a number of smaller offices nationwide. IHI-BUPA’s Thailand policyholders are ensured a speedy response to any queries or requests for support they may have. As my business takes me on regular trips to Europe, I was pleased to learn from the staff at Thailand health insurance that IHI-BUPA has a large number of offices and support centers throughout the region. Once I had reviewed the options I received, the package and support offered to me by IHI-BUPA provided me with the coverage I was looking for. Many thanks to all at Thailand health insurance for their swift and detailed advice! I have recently relocated to Thailand with my family and I was keen to upgrade my company health insurance package with a more comprehensive, family orientated medical insurance plan. Thailand health insurance suggested looking at the products supplied by IHI-BUPA and I am delighted to say that we are on the verge of purchasing an IHI-BUPA family plan. The health and wellbeing of my family is now ensured thanks to Thailand health insurance and IHI-BUPA. By entering your personal details in the form section at the top of this page, you can apply for and receive additional information on IHI-BUPA medical insurance plans. Detailed advice and information on Thailand health insurance and related issues can also be requested from our support staff and they can be contacted directly here.